Resort Trades, the timeshare or vacation ownership industry’s most widely distributed B2B publication, announced it is distributing the recently published study comparing the financial performance of 100 Florida timeshare resort HOAs over a thirteen-year period. The annual study is produced by one of the largest accounting firms in the United States, WithumSmith+Brown, PC, (Withum). It includes comparisons of accounts receivable and bad debt performance, liquidity, developer involvement, assessment rates, expenses and several other metrics. 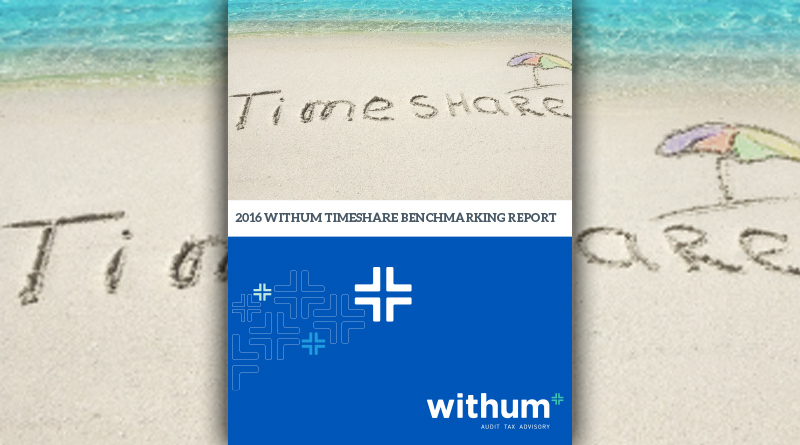 The document includes observations made by the Withum timeshare team, which is led by Withum Partners Tom Durkee and Lena Combs. The Trades was established in 1987 and adds value to the industry as a whole with an enormous volume of informative content to assist resort operators in running their properties more efficiently, raise revenues more effectively and make better-informed buying decisions. The print edition is distributed monthly to every US timeshare resort, plus to a large subscriber base of resort professionals. The publishers also distribute online news updates to a 25,000-plus subscriber base. ResortTrades.com receives more than 3,500 unique visitors per day and indexes over 11,000 pages, or 86+ gigs, of data.